Balloons are fun way to add a festive feel to your party! 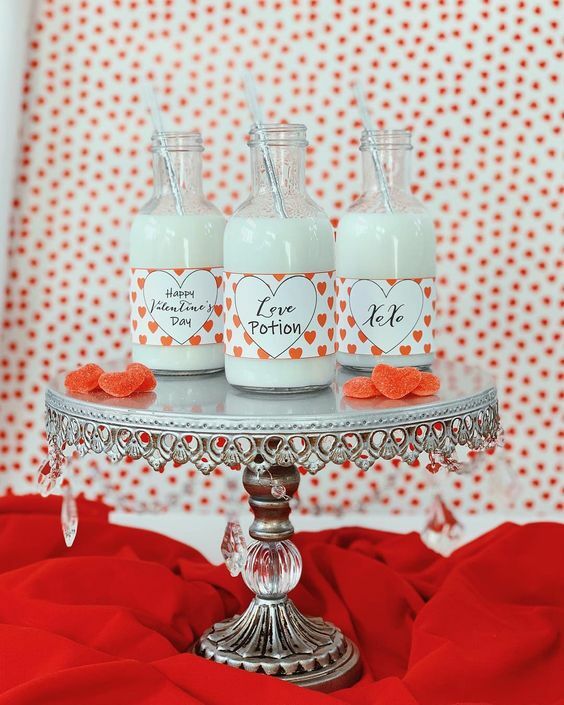 A Simple DIY Valentine’s Day Soiree! Sugar Parties LA, is a party styling business in Southern California. 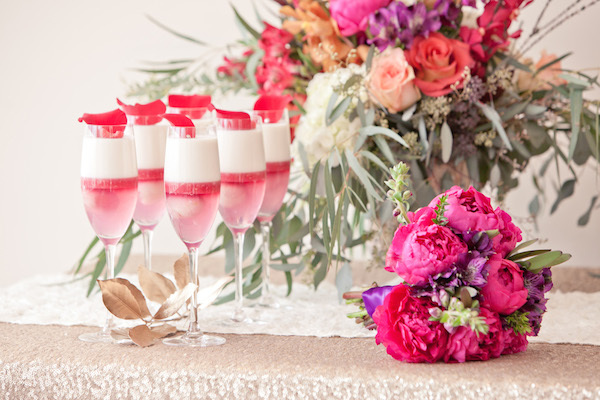 She has so much to share on her website to inspire your next party! You can find her handmade decoration pieces on her Etsy shop called “ShopSugarPartiesLA”. You can find personalized items to fit your party needs…. right here! 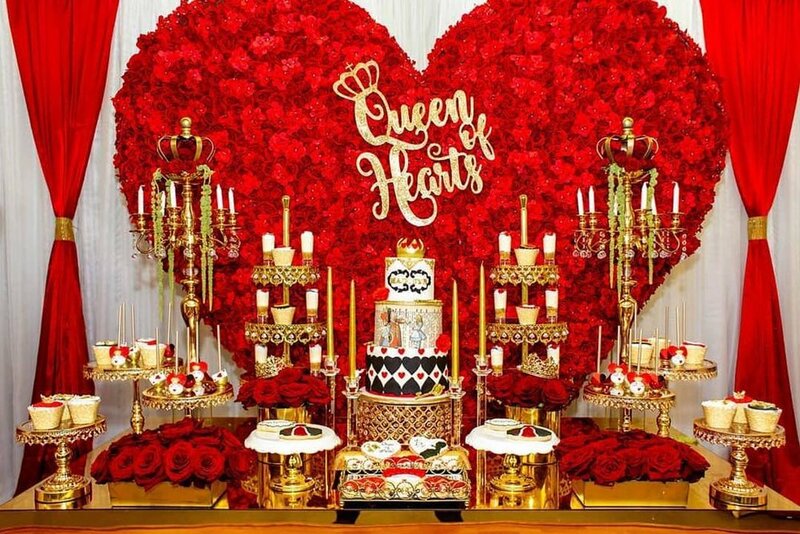 The heart print backdrop is gift wrapping paper found at HomeGoods.. We also LOVE HomeGoods they have an amazing selection of our Opulent Treasures Cake Stands! The cute matching bottle wrappers can be downloaded from Sugar Parties LA. The gorgeous chandelier cake stands in antique silver are from Opulent Treasures they are sold as set so you can create this same look! 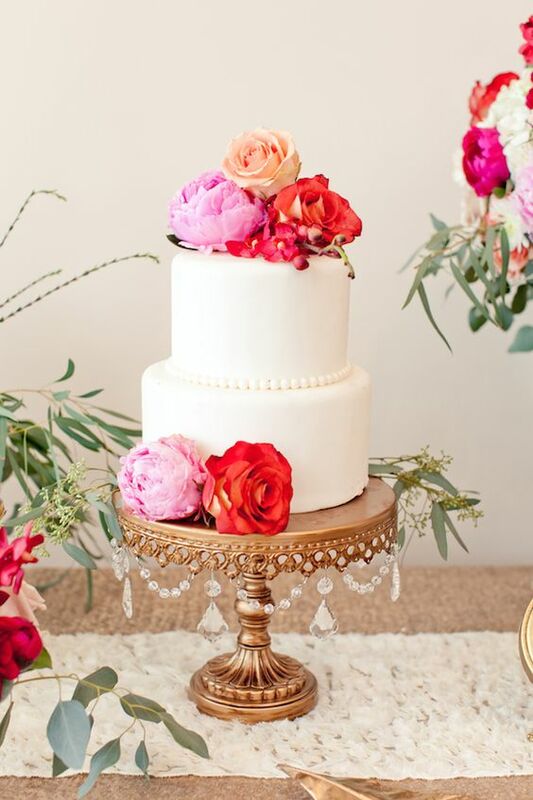 With a palette of pretty pinks, cranberry tones, and marsala - there are so many inspiring details to love. 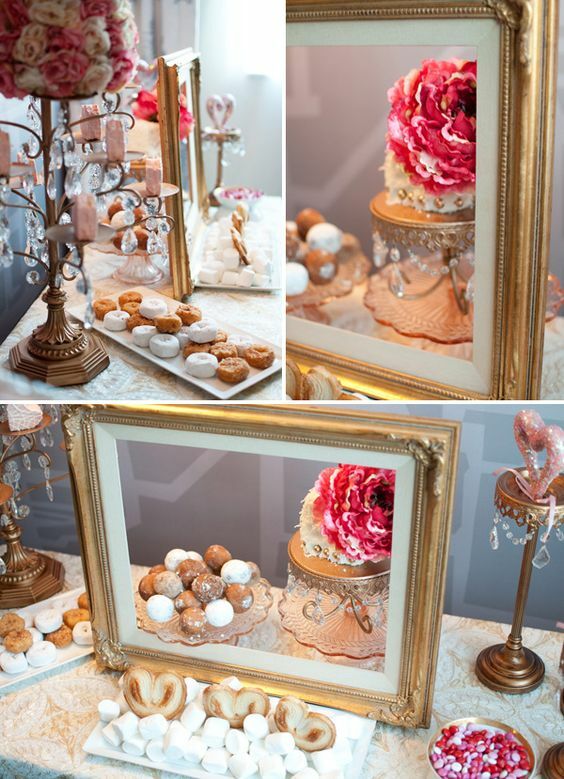 The stylist at Candy Crush Shop worked with Blissful2Be + Studio Dizon to bring this lovely scene to life. 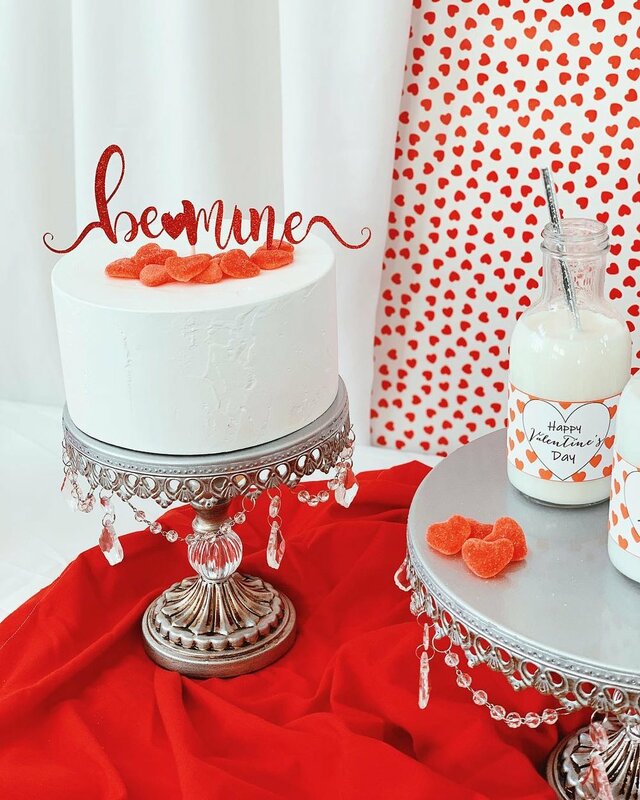 And while it couldn’t be better inspiration for a V-Day wedding, I'm also sure it would work beautifully for a romantic celebration for any time of the year! From Hostess with the Mostess …creativity is the life of the party! We’re passionate about helping you BRING THE FUN to celebrations and everyday moments through the use of stellar design, doable DIY projects, and clever party ideas. Take a peek to see all the creative ways to bring the FUN! Tiered candleabras as dessert “servers” make for such a pretty display… HomeGoods is a great place to find Opulent Treasures designs like this pictured here at super-reasonable prices!